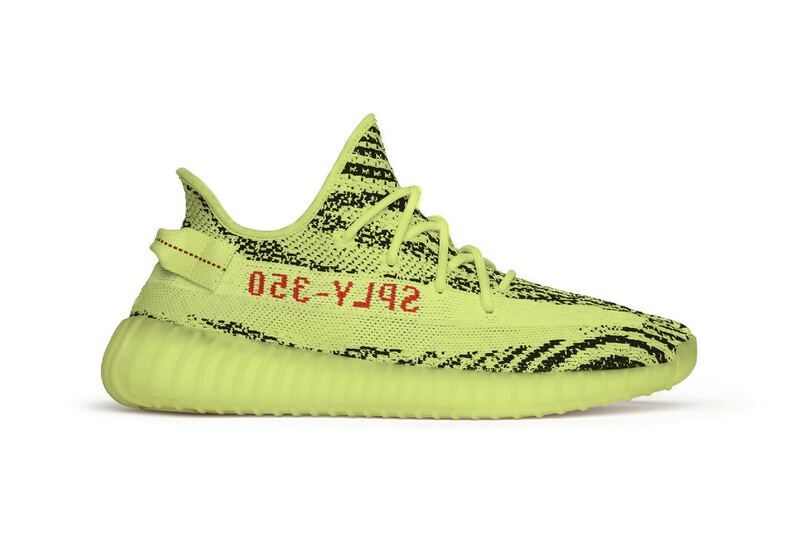 Semi Frozen Yellow is not a colourway regularly associated with trainers but Kanye West and Adidas may be looking to make it a regular offering with the latest Yeezy offering. Samples of the sneaker have been floating around for a while now but the retail pair will be significantly different to the samples. Sporting a similar pattern to the Zebra Yeezys that recently re-released the new colourway replaces the white with, you guessed it yellow. Rumours say that this variation should release in December and may be the most limited colourway yet. This would be understandable as this colourway will be extremely hard to pull off.